When your department needs new wholesale police patches, WholesalePatches.com is your dependable source. We offer great-looking patches at unbeatable prices that stand up to tough service! NOW YOU CAN GET WHOLESALE POLICE PATCHES NO MATTER YOUR BUDGET! Our top-quality materials and artwork combined with our rigorous quality control means your wholesale police patches will be the best available. As far as price goes, we won’t be undersold, so you can get great custom patches, regardless of the size of your budget! 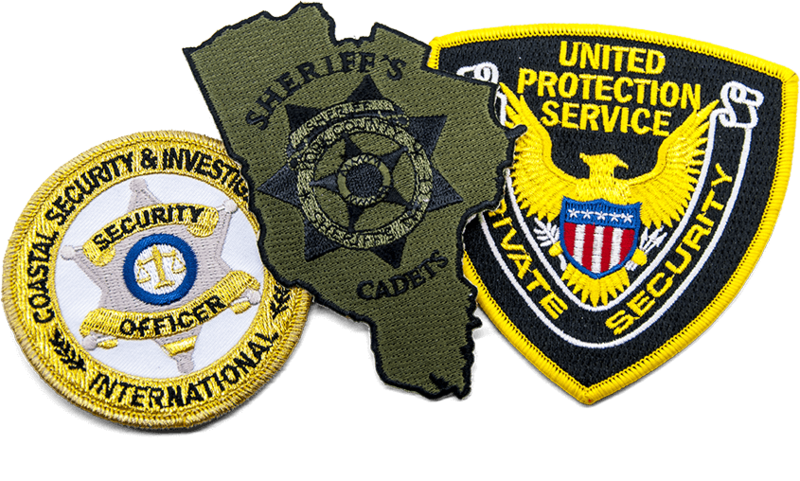 Our goal is to supply the highest quality custom embroidered wholesale police patches available. We appreciate your need for strong, durable patches. That’s why we use only the highest-quality embroidery thread and twill backing material available. Our state-of-the-art computer-controlled embroidery machines ensure consistent quality control. Our experienced, award-winning graphic artists are the best in the industry. From design to finished patches, we’ve got your police patch needs covered. We know your police patches are a visible representation of your department to the public. Whether you want to reproduce an existing design or create a new one, we’ll give it our utmost attention to detail. You can be sure you’ll receive the finest wholesale police patches available. We stake our reputation on it. We make ordering easy and fast. Just fill out our no-obligation free quote form, and we’ll send you a free digital proof of your patch design. We don’t charge for artwork or revisions, so if you decide to change the Cross of St. Florian on your patches to a Maltese Cross (or vice versa) before production begins, no problem. You can be sure your patches will look exactly the way you want them to. Call (toll free) or fill out the free quote form today and let us show you how great your fire department patches can be! Choose a style from our great selection. We have one that’s perfect for every need and every budget! Once you fill out our no-obligation free quote form, we’ll respond fast with a FREE digital proof of your patch design. You can revise the proof until it’s exactly what you want. Artwork and revisions are always free! Once you’re satisfied with your design, confirm your order. Our FREE shipping will get your patches to you fast, anywhere in the continental U.S.A.! Or if you are ready to get your Free Quote, go to our Free Quote Page.